The color orange, according to several sources, is a power color, full of energy, as well as a healing color. It is said to stimulate the appetite and is often associated with positive energy and enthusiasm. So what did A.H. Munsell have against the color orange? But that’s not what touched off the debate. A few years after Munsell’s 1905 edition of A Color Notation was published, Henry T. Bailey, an art educator and editor of School Arts Magazine, accused Munsell of “managing the color circle by omitting orange” and being “opposed to the use of ‘strong colors. '” In other words, he claimed Munsell was manipulating the hue circle to achieve balance by eliminating the color orange. 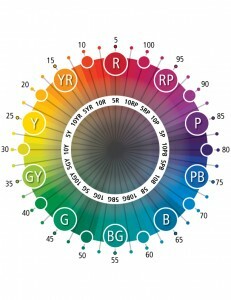 Figure 1 Munsell’s Color Order System R, P, B, G, and Y are primary hues. RP, PB, BG, GY, YR are intermediate hues. Based on the science of pigments, the color orange is not a pigment, but the result of mixing yellow and red pigments. Knock, knock… Who’s there?… “Orange”… “Orange” who? “Orange” you going to include me in your hue circle, Munsell? Munsell scientifically proved the contrary, using the Maxwell discs to demonstrate that it is the character of the measured pigments and the way our eyes perceive color that have determined the balance—not a manipulation by Munsell. Remember… Munsell’s balanced approach evenly divided the color wheel into multiples of 5—five primary hues and five intermediate hues with 10 steps between each (See figure 1). 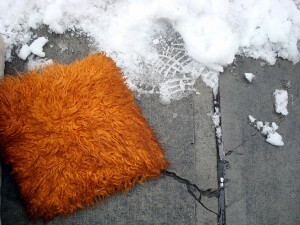 Bailey believed that orange should have been included in the primary hue set, particularly when teaching color to children. Also note that Munsell’s artistic perspective on color and his scientific research were based on pigments. As such, the term “orange” did not correlate with terms related to pigments. Instead, based on Munsell’s approach, “orange” is actually a combination of yellow and red pigments and not a pigment itself—not to be confused with the electromagnetic spectrum “ROY G BIV” in which there is an “orange” color; however, it refers to physics of light and not pigments.